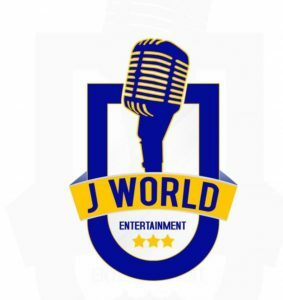 Latest job openings at J-World ntertainment, an international record company. See the requirements and procedure to apply for J-World ntertainment jobs online. We are seeking to hire a smart, energetic and social individual who will create a positive press and media exposure for our talents. The publicist will manage the Company talents public image and appearances. He/She must know how to write press releases, network, and deal with media, have strong communication and people skills. Follow client to all interviews. Must have high level of experience in PR, communications, journalism, or a related field work. Coursework also includes writing and editing for mass media, public relations fundamentals, PR ethics, media organization and communications in the information age. Writes words and text for television commercials, radio, Internet content, jingles, websites, press releases, flyers, treatments, proposals and direct mail literature. Brand manager should be able to ensure creation of strategies that will change how people perceive the J-World brand. This involves overseeing advertising, design and events. 2 – 3 years of experience of which 2 years should be in a leadership role, supervising and managing a professional branding staff of over Five (5) diverse creative employees. Previous experience in entertainment or other related industries would be an added advantage. Experience in Brand management & Promotion is an added advantage. We are looking for Marketing Operations team at that is interested in growing their technical marketing abilities. This person will be working primarily with the Marketing administrator helping to review campaigns, build out program assets and support essential campaign reporting. This person will be quick on their feet and able to work with a variety of different teams within the marketing organization. Fluency in English and Mandarin Chinese (written and verbal). Majoring in Marketing, Business, Advertising, Communications will be preferred. Basic skills in image editing by utilizing Adobe Photoshop or other image editing software. Self-driven, hard-working, team player, and positive. How to Apply for J-World ntertainment Jobs. Apply Before: 30th May, 2019.